Molecular Theory of Gases and Liquids offers a rigorous, comprehensive treatment of molecular characteristics and behaviors in the gaseous and fluid states. 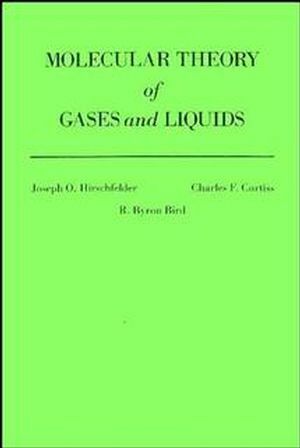 A unique cross-disciplinary approach provides useful insight for students of chemistry, chemical engineering, fluid dynamics, and a variety of related fields, with thorough derivations and in-depth explanations throughout. Appropriate for graduate students and working scientists alike, this book details advanced concepts without sacrificing depth of coverage or technical detail. Joseph Oakland Hirschfelder was an American physicist who participated in the Manhattan Project and in the creation of the nuclear bomb. Charles F. Curtiss is the author of The Molecular Theory of Gases and Liquids, published by Wiley.